Birthday Wishes for Mom: Your mother should be the most important woman in your life. When her birthday comes around, you want to do your best to make sure it is a day to remember. Finding the best gift is always important; however, what moms appreciate the most is loving words from you. Taking the time to express to your mother just how much she means to you is the greatest gift you can give her. Don’t assume that your mother knows how much you care. Being a parent is hard work and knowing that your child appreciates everything you do for him or her is a priceless gift. 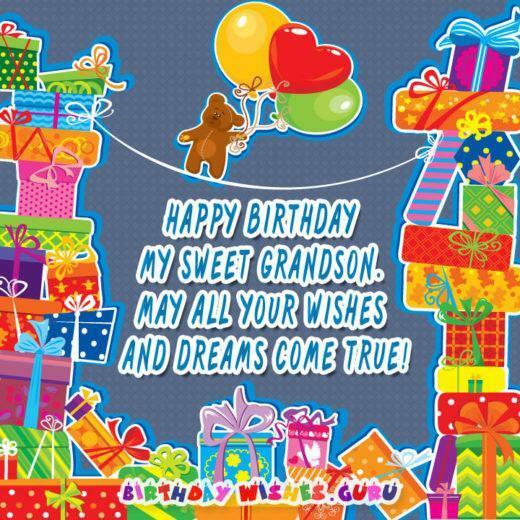 Browse our wonderful collection of mom birthday wishes from son or daughter. 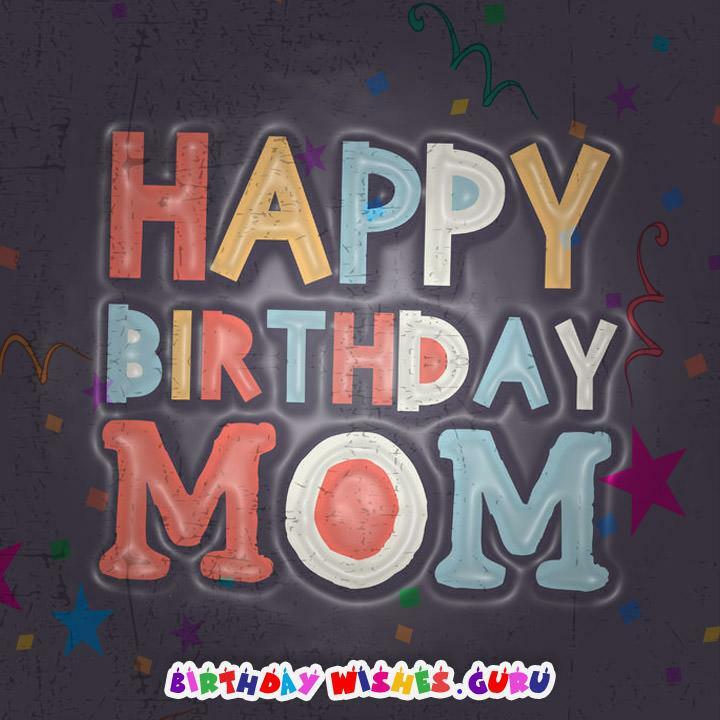 Share these birthday messages with your mother via email, Text/SMS or Facebook. Mom, you did so much to bring me into this world and give me the life of my dreams. Thank you and I hope you have a wonderful birthday. Mom, since I was a kid, I looked forward to growing up to be just like you. With every year, you just keep giving me new goals. Thank you for being such an amazing person to look up to. Happy Birthday Mommy, I hope your day is as special as you are. I will do my best to make it a special time. Mom, you have been the strength to carry me through difficult days. I hope today you can enjoy yourself. With this text I want to express my never ending love and gratitude towards you. I want to thank you for giving birth to me and raising me to become the person I am today, with all of my imperfections. But I don’t mind the things that make me imperfect, because it’s them that made it raising me so interesting. That is what caused all of our fights and conversations, but that is what made it worthwhile. Happy birthday! I wish you a happy birthday, not as your child. But as your friend. You have been a great friend all these years, always being there to listen to me when I’ve had problems, always willing to give advice, but most importantly, always willing to share your food with me. Happy birthday mom! I love you! Spending 9 months inside your body was only a glimpse of the tortures I’ve done to you throughout my years of being this devilish child you tirelessly grew up. Yet, instead of abandoning me in a ditch, which was what I deserved. You always treated me with endless love and care, always with a smile on your face. And that is why I love you so much. Happy birthday mom! As a child, I never realized how much you gave up just to be able to raise me, all these years you could have done so much, yet you though that I was more important than all of them, and for that I am sincerely grateful. Happy birthday mom! I love you. You’ve been there in all the great moments I’ve had in my life. Through every failure, every success, you were there to witness it. You’ve seen me in my highest of highs and in my lowest of lows. But your faith in me never wavered. You’ve been the best mother somebody could have. And for that, I will always love you. Happy birthday mom! There are not enough words in the English language to let you know just how much you mean to me. I love you and am so grateful for you. I may not always know how to express myself, Mom, but let me be clear that I always need you. Thank you for always being there for me. I can’t wait to take you out tonight, Mommy. Today is your day and it’s the greatest treat to be able to spend it with you. Throughout my life you have spoiled me and given me everything I desire, tonight I want to give you want you wish and make this day as special as possible. I think about you everyday Mom but mostly on this day, this most special birthday. You are the greatest mother in the world and I love you more each and every day. To the woman who inspired my confidence, intelligence and wit, enjoy your birthday. I hope it’s a day that you will never forget. I used to hate it when people asked if we were sisters. Now, I know I’ll be one good-looking momma when I’m older. Thank you for blessing me with your good looks. You are stunning with each new year. You used to read me that book about how much you loved me, and we’d stretch our arms out wide. Today, I extend my love to you, knowing that there aren’t enough stars in the sky to equal how much you mean to me. Hoping I am the first one to wish you a happy birthday, because we all know I am your favorite child. Love you! To the woman who makes me smile every day, I thank you. Today I will bring a smile to you, for it is your birthday. Have a good one! Thank you for everything you do for me. I want to honor you today. Mom, I love how you are always taking care of me. Today, I want you to relax and let me plan the day. You are more than a parent to me, you are my best friend. Thank you for everything you do for me, Mama. When I was a kid, my friends all thought you were the cool mom on the block. Now, I know that it is truer than true. Thank you for just being you. I have been waiting all year for this special day, Mommy. I can’t wait to take you to a fancy dinner and celebrate with you. The greatest gift the Lord ever gave me was when you chose you to be my Mother. I love you so much, Mommy, and it means the world to me that you are always there for me. Thank you so much for everything that you have done for me. Best Wishes to a mother that exceeds all expectations. You’ve been there forever, and forever you shall be. I love my mommy. 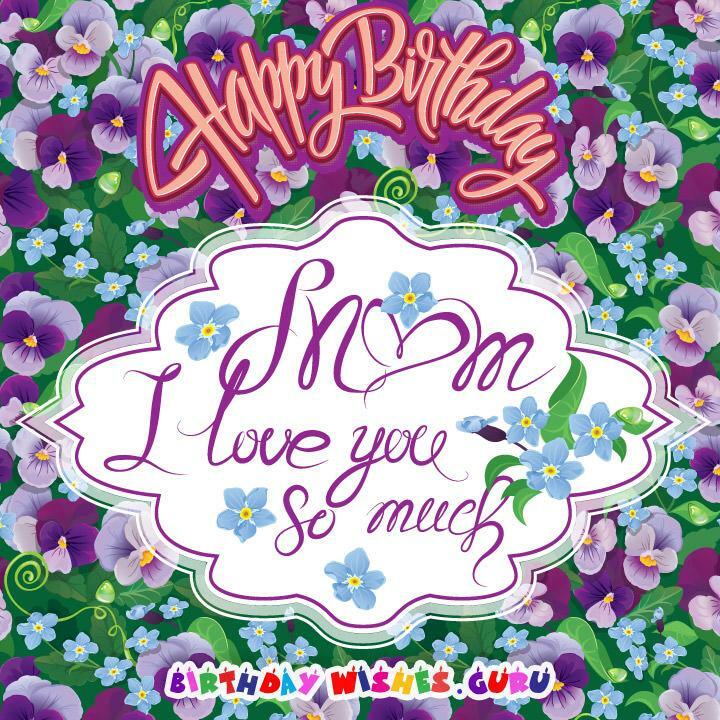 To my mother, happy birthday and may all your wishes come true this year. Happy birthday forevermore and may your next birthday be happier than the last. For every year of my life, you’ve always been the best mom. That ray of sunshine is what keeps me going to be the best son I can be. Wishing you the best, happy birthday mom! You know, there’s something missing today. What is missing that you need? A cake! I guess I brought this just for you. Best wishes and may your special day always be blessed! Today, I just so happen to have a cake, it’s a very special day where only one person can blow out the candles, but many can eat it. What? It’s your birthday?! I thought it was national cake day! Happy birthday mom! Blessed be the day of your birth! For today is the day the lord has created you! This day is meant for you and only you. Best wishes from your loving children. Today something special is going to happen. I don’t know what it is about today, but I can sense that something very special is going to happen. It’s your birthday!? I guess I was right huh? It feels like I am missing something today. Something important happens today, but I can’t seem to remember what makes today so important. Oh yeah. Here’s a birthday card. Now let me see if I can find out what made today so important! To all the greatest, you gave me birth, you gave me life, and you gave me a home. The only thing you want from me is one day, and that’s so little to ask. I wish your birthday to be full of joy and wonder. For my mother, the greatest woman in the world. Enjoy the day of your birth! When angels sing and cherubs dance, there is only one day that today must be. It’s your birthday mom! Just to let you know I haven’t forgotten what today is. Run by birthday wishes! Just to prove I haven’t forgotten, I drove all the way here for you today. Happy birthday and enjoy today! Sometimes I wish I had a mother to give a card to on a special day. Today’s your birthday? Wish granted! To the best person in the world. I wish you the best on your day, Happy birthday mother! To the person who means more to me than life itself. Mother, I hope your birthday is the best day ever!